Hi you! Did you miss me? I'm sorry I've been AWOL for the last two weeks, but here I am again! Time can fly when you're busy, right? Let me show you what I've been up to! 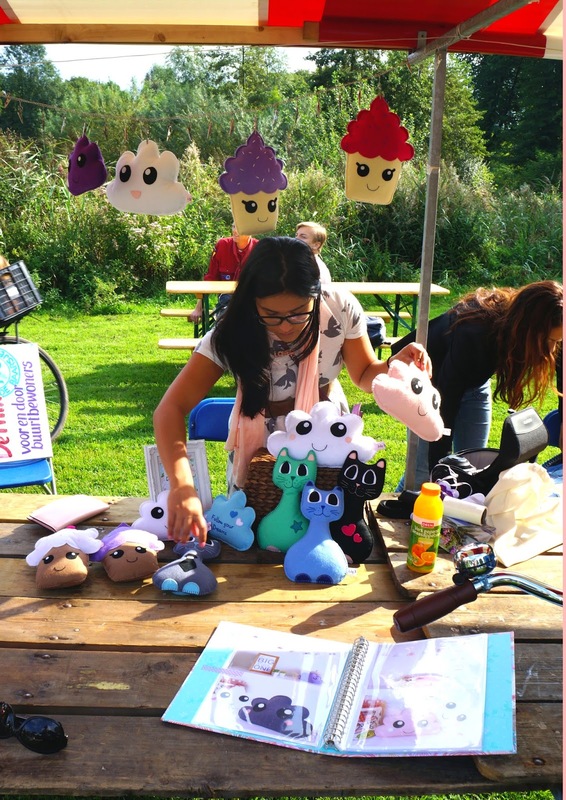 Last week I had a craft fair in Rembrandtpark. We were so lucky with the weather, as it had been postponed one week due to the rain.. Can you see the sun shining while I'm setting up? 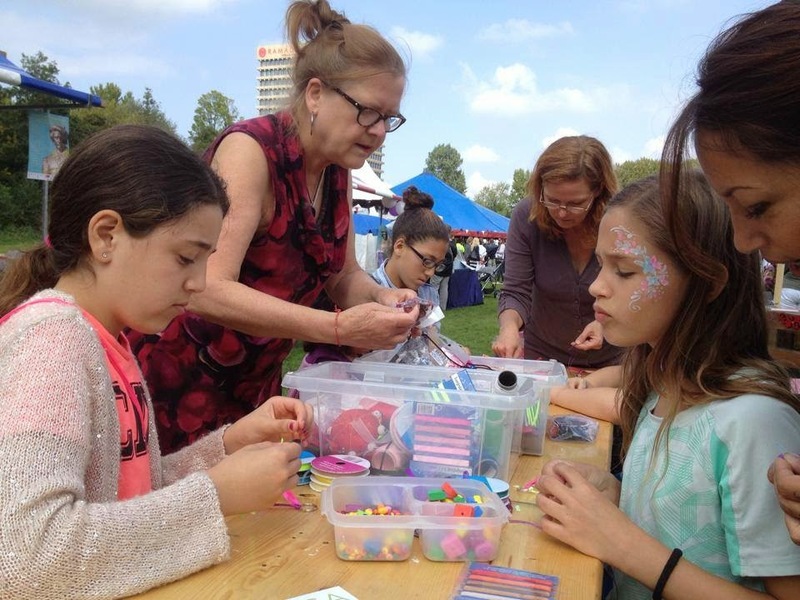 It wasn't just a craft fair, more of a festival for kids. 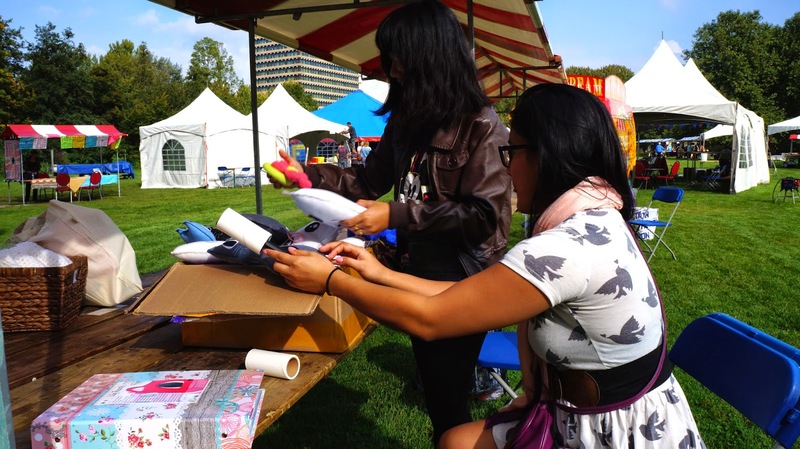 There were loads of activities to do, an ice cream truck (and loads of other yummy foods), music, workshops, a petting zoo... It was so much fun I had trouble staying at the booth! 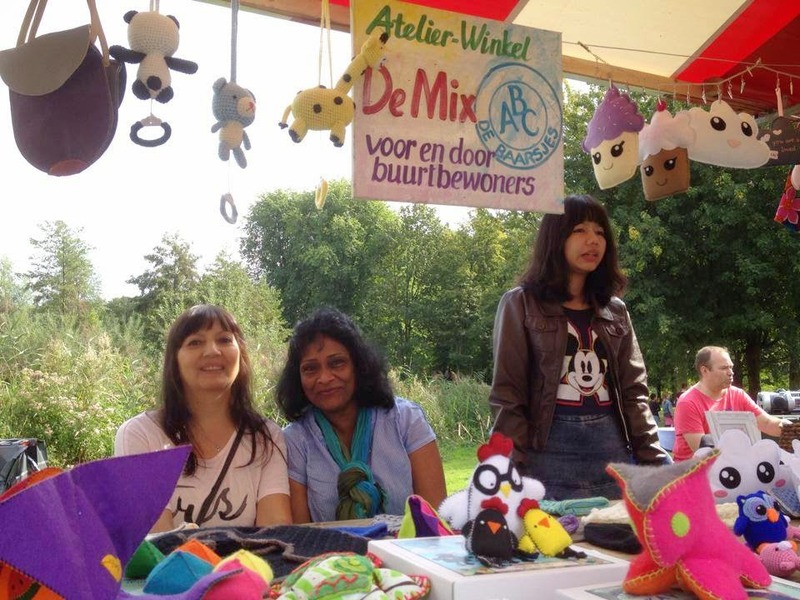 The other ladies I shared the booth with, sponsored by Atelier-Winkel De Mix! Such sweethearts! De Mix had organized another booth where kids could make their own keychains..
My part of the booth after setting up, with a lookbook and flyers! 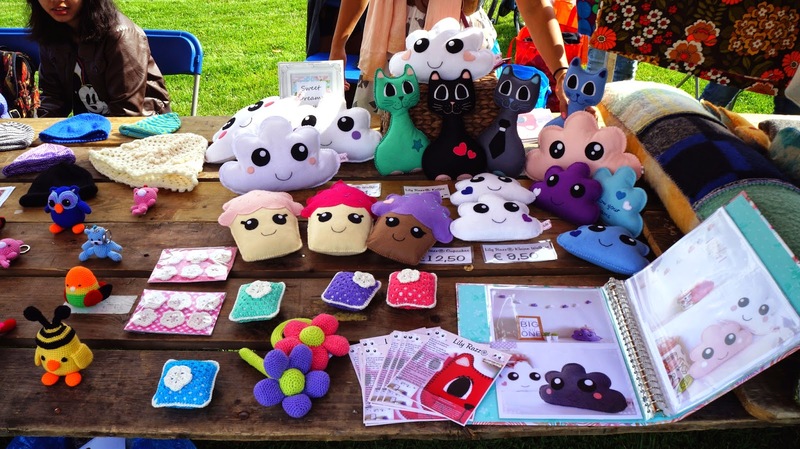 I made two sales that day - I was so happy since I didn't expect to sell anything! - and I got to promote my label! I have to say, I'm really grateful for my first "booth" experience. The weather was great, the atmosphere was amazing, and the people were awesome! Thank you De Mix! Ho'omaka'i on this gentle launch into the craft both world. Your creations look real cute and I bet no one could walk by without picking one up and touching it.